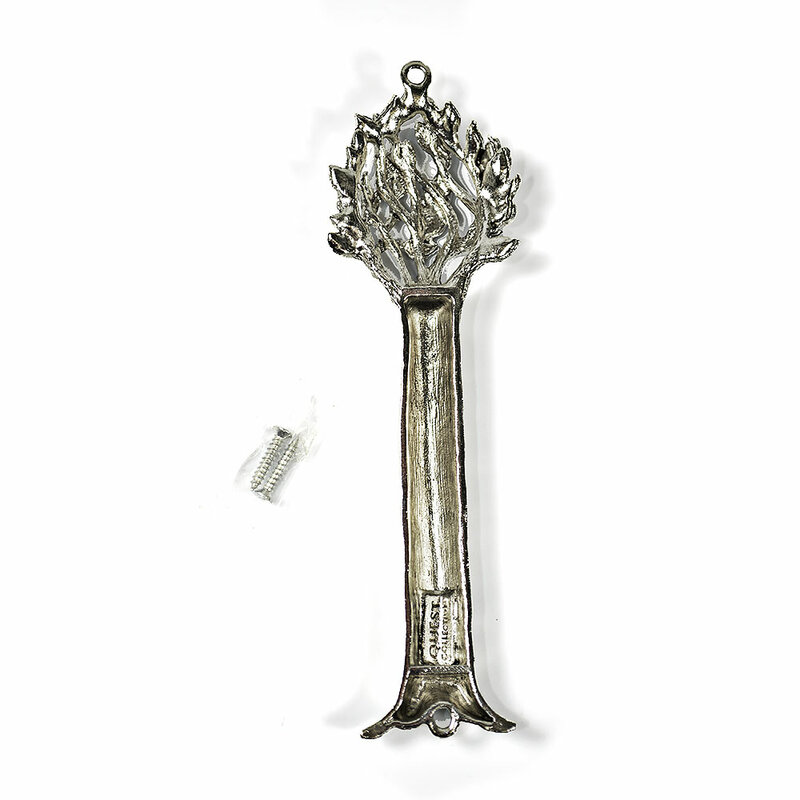 This Mezuzah Symbolizes The "Tree Of Life." It Is Made From Pewter And Finished With A Shiny Coating Giving It A Contemporary Look. The Shin Is Centered Near The Top. The Mezuzah Measures Approximately 5" Tall. Beautiful mezuzah and for a better price than on other websites. Just as pretty in person as it looked online. Fast shipping good quality product at a good price I use this site to fill or replace many of my items. MY gift was delivered. The gift itself was beautiful, but the card that I requested be added to the package was not enclosed, and the recipients had NO idea who the gift came from. Not cool.